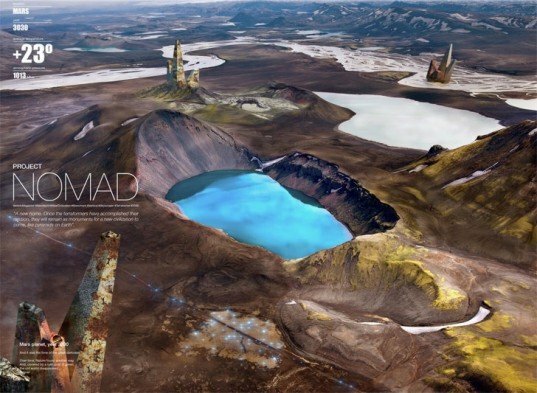 Various public and private space companies are currently planning missions to Mars, but Project Nomad is going one step further. 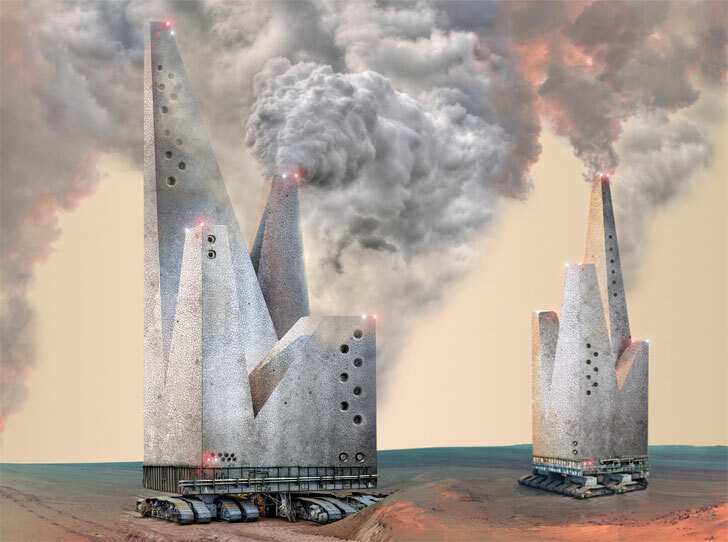 The plan is to build mobile skyscrapers that would move about the planet's surface using Martian minerals to create complex greenhouse gases and release them into the atmosphere. This would change the atmosphere and soil chemistry of Mars in order to make it hospitable for human colonization. Venus does not have a magnetic field. Yet it has a plenty of greenhouse gases, and its temperatures are therefore a lot higher. So what they are aiming for can be achieved. They are not aiming to have a shield against harmful electrons, after all. Very much true Bojamajams, people need to be active, take part of the political life, politics mean "how to build a city". We need to stand up to companies like Coca Cola who lobby against recycling, with the motive that if people are forced to take care of their garbage they will buy less products. Such behaviour itself should be cause for boycott of their products. Nils is right, this is just a pipe dream without an active molten core. Let's terraform our own planet. If people don't want to live in Siberia or the North West Territories, you think they'd want to live in a bubble on Mars? Sorry but this is part of a great scam. Mars can not be terraformed. It does not have a magnetic shield. The magnetic shield of our planet is created by the nuclear fusion in around the iron core. When the fissionable material is finished the core stop and the magnetic field is gone. When that happen to Earth, within 3 weeks all life except some bacteria thousands of metres into the stone will be dead. The great scam is that we are over populated. All of humankind would have a room of 6m² in Denmark and the entire planet would be empty of people, we are not that many, but big industry like you to believe so. Control of power is the name of the game, knowledge is poison and education is controlled. This planet could easily fit 30 billion people if we did it the right way. Project Nomad is the brainchild of Antonio Ares Sainz, Joaquin Rodriguez Nuñez and Konstantino Tousidonis Rial of Spain. It is their response to "the global increase in population, its concentration in cities, and the development of emerging countries leading to a big increase in energy need."